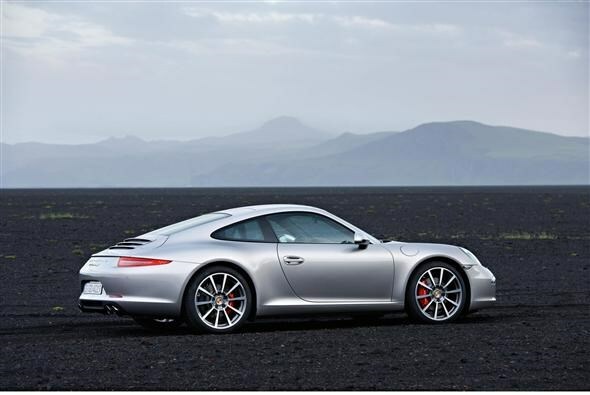 Porsche has unveiled the eagerly-awaited next generation of its flagship model, the 911. Although critics will undoubtedly be up-in-arms about how little this car - codenamed the 991 - has changed, there are some marked differences between this and the out-going ‘997' model if you know where to look. Besides, when considering the aesthetics you have to ask: if it ain't broke, why fix it? This certainly isn't the ugliest car we've come across this year, and sometimes subtle changes are all that's required to refresh what is an infamously successful design. In a world first, the new 911 will be available with a seven-speed manual gearbox or Porsche's PDK twin-clutch automatic transmission. There's no word yet on pricing or performance figures for the former, but we've been told to expect more information before the car is launched officially at Frankfurt Motor Show in September. The engines available from launch are both six-cylinder petrol units, once again positioned behind the rear axle. The Carrera gets a 3.4-litre unit making 350bhp. When coupled with Porsche's PDK gearbox this means that the sprint to 62mph takes 4.6 seconds, with the optional ‘Sport Chrono' pack this drops to 4.4 seconds. The Carrera S coupled with the same gearbox uses a 3.8-litre engine generating 400bhp, allowing it to hit 62mph in 4.3 seconds (4.1 seconds with the Sport Chrono pack). Each of these acceleration figures is slightly better than the equivalent model of the outgoing 911. As well as being faster, the new 911 is more efficient. The German firm has managed to get CO2 emissions below 200g/km for the first time with the Carrera. The base model (if you can call a £70,000 car ‘base') emits 194g/km, meaning £445 showroom tax in the first year and £260 per year for road tax thereafter. 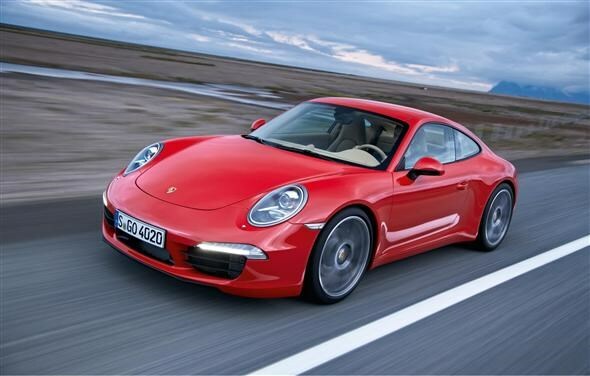 Fuel economy for the new car, the most frugal 911 so far, is claimed to be an average 34.4mpg. 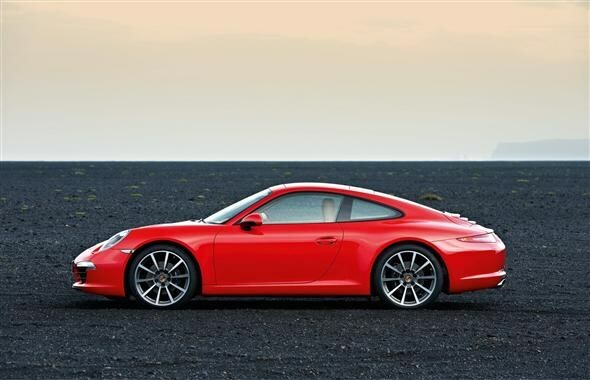 The Carrera S emits 205g/km CO2, and returns 32.4mpg. This means £580 showroom tax in the first year and £260 a year thereafter. The new car is 100mm longer than before, while the roof line is lower and the front track wider. This means it has a more aggressive stance and allegedly benefits from the better handling characteristics, possible from a lower-slung centre of gravity. Porsche states it has skimmed 45kg from the weight of the aluminium/steel composite body, and has employed a larger rear spoiler to reduce lift yet retain good aerodynamic properties. A new rear axle and revised power steering system, coupled with the wider front track, are reputed to improve the driving characteristics of the 911. The Porsche Dynamic Chassis Control (PDCC) system - which reduces actively reduces body roll - makes a comeback for this model, and for the first time will be available on the Carrera S.
Standard equipment on the Carrera includes a leather interior, sports seats, automatic climate control, Bi-xenon headlights, a 7-inch screen with sat nav and MP3 connectivity, Porsche Stability Management (PSM). It also comes with a three year warranty. The more expensive Carrera S gets 20-inch alloys and a whole bunch of acronyms purporting to improve the ride and handling. Porsche Active Suspension Management (PASM) and Porsche Torque Vectoring (PTV) with a limited slip differential (LSD) for extra traction through corners. Got that? 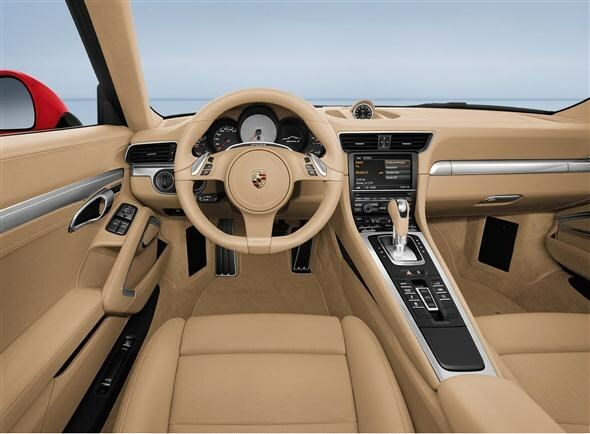 Inside, you get motorsport-inspired styling borrowed from Porsche's fabled supercar, the Carrera GT. The gear knob sits nice and close to the steering wheel, meaning it's faster and easier to change gear. To give you that little extra peace of mind, you'll get a tracking system fitted too, which means if your car does get stolen the police should be able to find it again. Another neat touch for 911 buyers is a complimentary driving course at Porsche's Experience Centre at Silverstone. The idea is to demonstrate how to get the most from your new car, and you'll be shown how to handle your car in a variety of situations. The new car will make its official debut at the Frankfurt Motor Show in September and will be available to buy in Porsche dealerships from December 17th this year. Prices for the Carrera will start at £71,449 while the Carrera S will set you back at least £81,242. Expect that price to spiral, however, if you start ticking boxes on the options list.